BOURBON, IN. 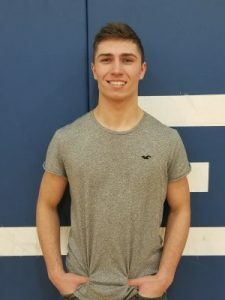 – The LaVille Wrestling team participated in the Hoosier North Athletic Conference Championships. The Lancers finished in third place as a team and crowned three individual champions. Nick Felke, particiapting in the 132-pound weight class, won by fall over Brendan Day of Winamac at the 1:01 mark of the first period. Anthony Hatter picked LaVille’s second individual crown at the 220-pound division. Hatter won by fall at the 3:06 mark. Alex Cartwright earned his title in the 285-pound class, Cartwright won by fall at the 2:14 mark. 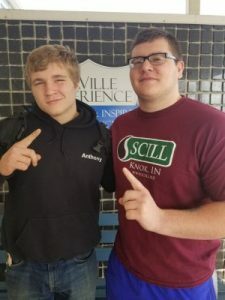 “At the HNAC tournament, I was proud how we gutted through a couple of tough matches,” said LaVille coach Sean Webb. “Our fatigue definitely showed on the mat Friday from having three matches back to back. We had one wrestler missing and a few others that just didn’t have a good day, but that will happen from time to time. I am proud of how we finished our last matches of the day, which will carry us into practice to get ready for sectionals. As a team I felt that we finished right where we wanted to, so I’m happy how we ended up. The IHSAA Plymouth Wrestling Sectional will Saturday, January 26. The Lancers join Bremen, Culver Academy, Culver Community, Tippecanoe Valley, Triton, Warsaw, Wawasee, and the host Pilgrims. Admission will be $6 and the top four place winners in each weight class advance to the Penn Regional. 106 – Matt Hominiuk lost by fall in final round. 152 – Levi Holderman lost by decision in semifinal round. 182 – Robbie Pope lost by major decision in final round. 220 – Anthony Hatter won by fall for HNAC Championship. 285 – Alex Cartwright won by fall for HNAC Championship. 1. Winamac 280. 2. North Judson-San Pierre 201. 3. LaVille 174. 4. Triton 142. 5. Culver Community 74. 6. Knox 66. 7. Pioneer 60. 8. Caston 34.